We are T-minus two days from Valentine's Day. While that may mean nothing to some of you, I know there are a few followers out there who secretly enjoy any and everything heart shaped. Of course, I am still fresh out of the holiday mindset, so massive amounts of chocolate and rich food is not really my thing right now. 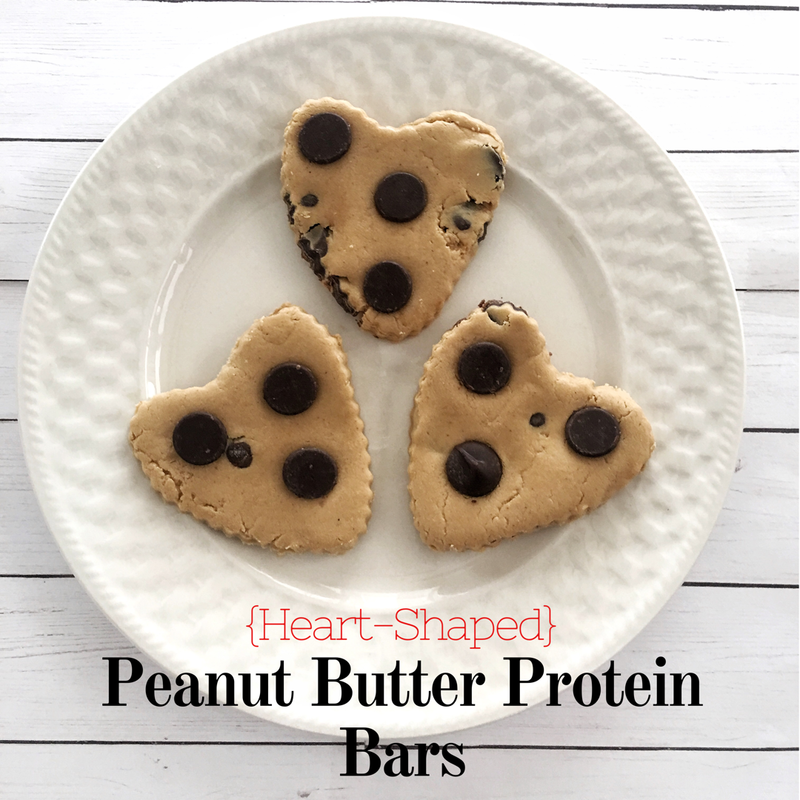 But I didn't let that stop me from whipping up these heart-shaped peanut butter protein bars in honor of Valentine's Day. 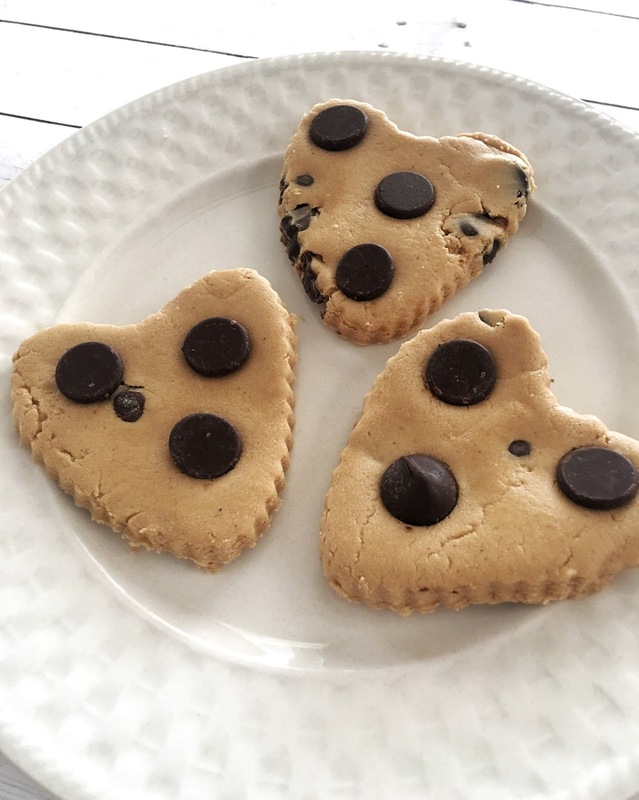 I always try to have a stash of protein bites in my freezer, ready to grab on my way to the gym or as a recovery when I get back. So really, the only difference in these is their shape (and lack of oats). 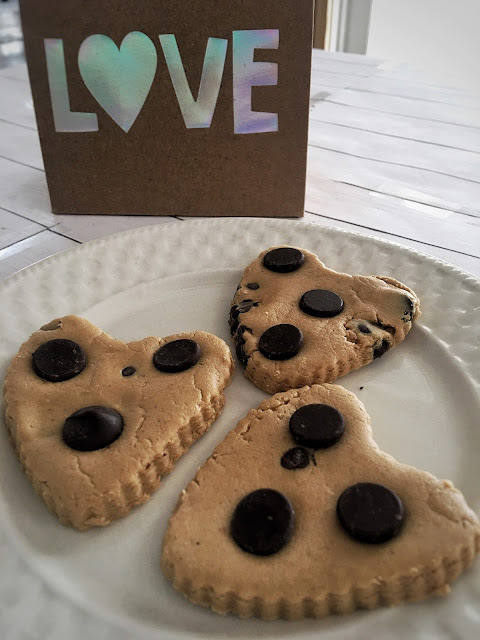 Click here for my Dark Chocolate Covered Protein Bite recipe. As always, I added a few dark chocolate morsels to satisfy any slight sweet tooth you may have. 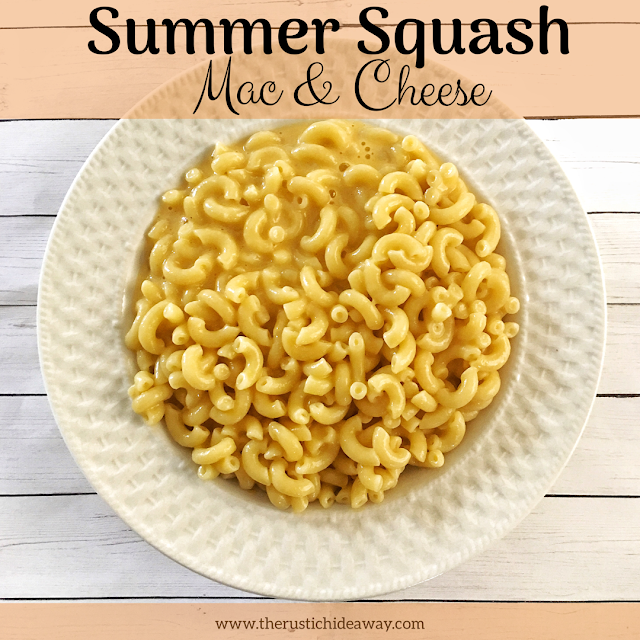 These take five minutes to make and are oh, so tasty. Combine peanut butter, whey protein, and vanilla extract until fully blended and malleable. Fold in the desired amount of dark chocolate chips. Use a cookie roller to roll out dough on a piece of parchment paper. Use a cookie cutter to cut into whichever shape you want or simply cut into rectangles.